from Wed 11/21 thru Friday Nov 2nd. Relaxed twill tunic shirt with a comfortable material that isn't too light or too heavy- just perfect. Slightly oversized so size down if preferred. I paired it with their textured basket-weave scarf which is so soft! 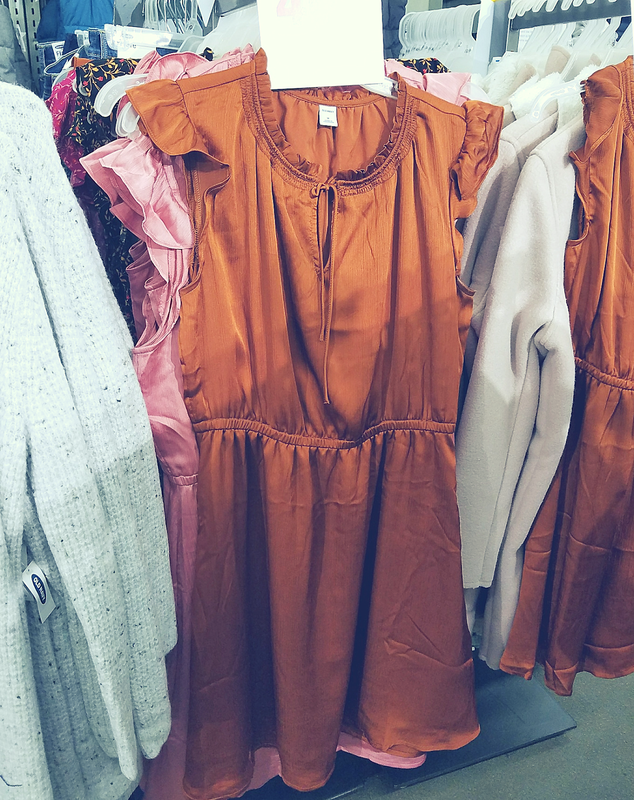 Definitely a necessity since it isn't bulky and can be used for many future outfits! 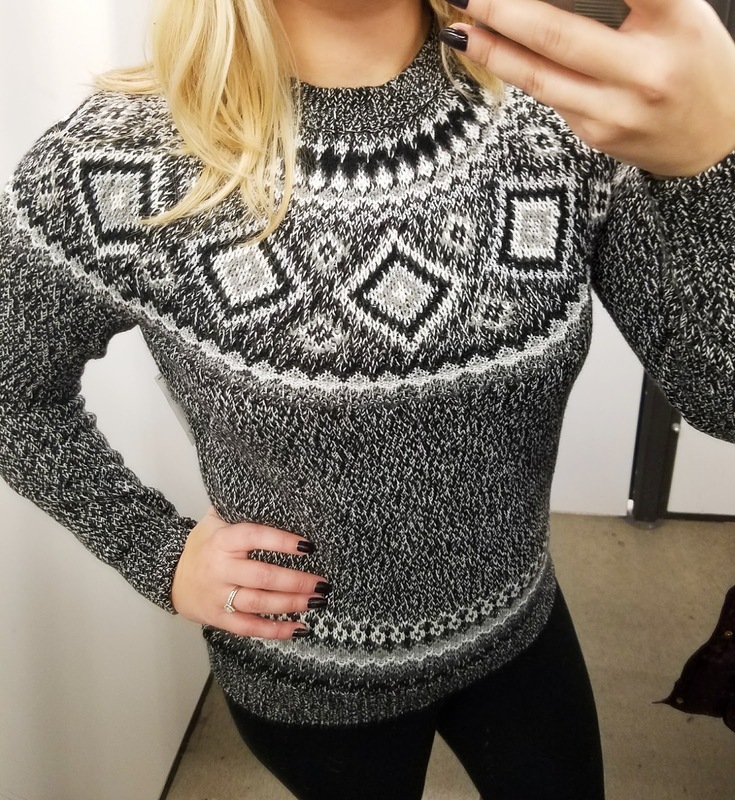 This sweater was my all time favorite- you would think a pattern like this would broaden your shoulders but it actually complimented them. The heathered pattern throughout the grey sweater makes it look much more expensive, and the overall design of the grey one is amazing. I definitely bought this and took it home with me! I was attracted to the green color of this shirt as well as the style of it. The small cut along the sides would be an awesome accent to jeans or leggings, and was very comfortable. 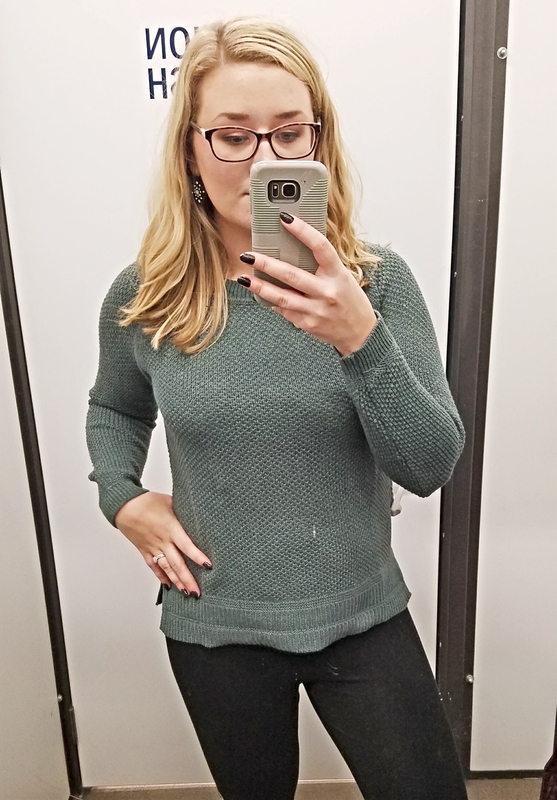 I also felt like this sweater would hold it's shape after time. 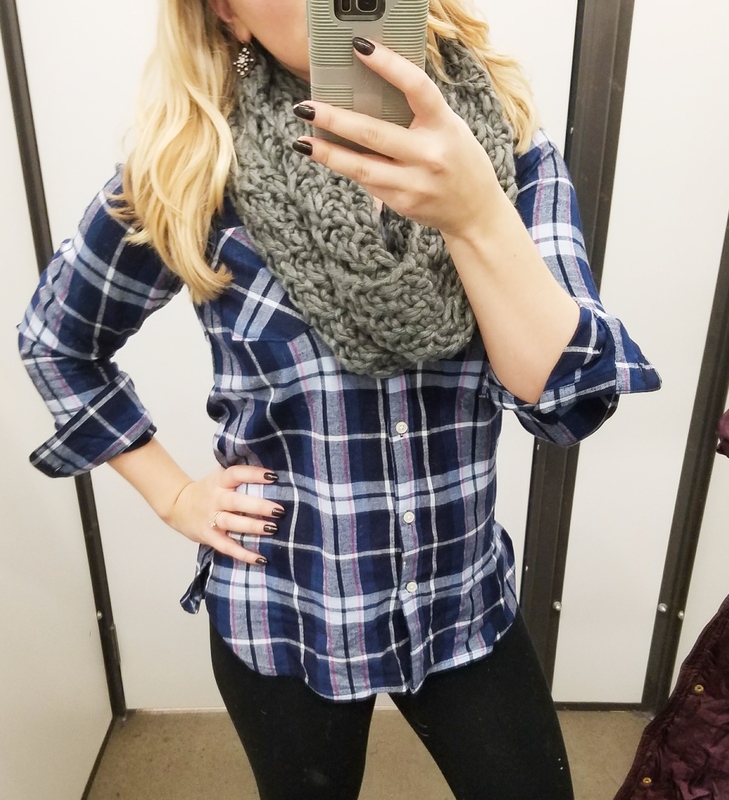 The lighting in the dressing room didn't give this one justice so I'm posting it on the rack. A stunning burnt orange color with a satiny finish. The material hangs beautifully. This ruffle sleeve top is perfect for holiday parties because it's velvet AND it has glitter. Not too much glitter either- just a perfect amount. I plan on pairing it tucked in with a black pencil skirt for a holiday party. This one was in VERY low stock at my store.... so grab one while you can! 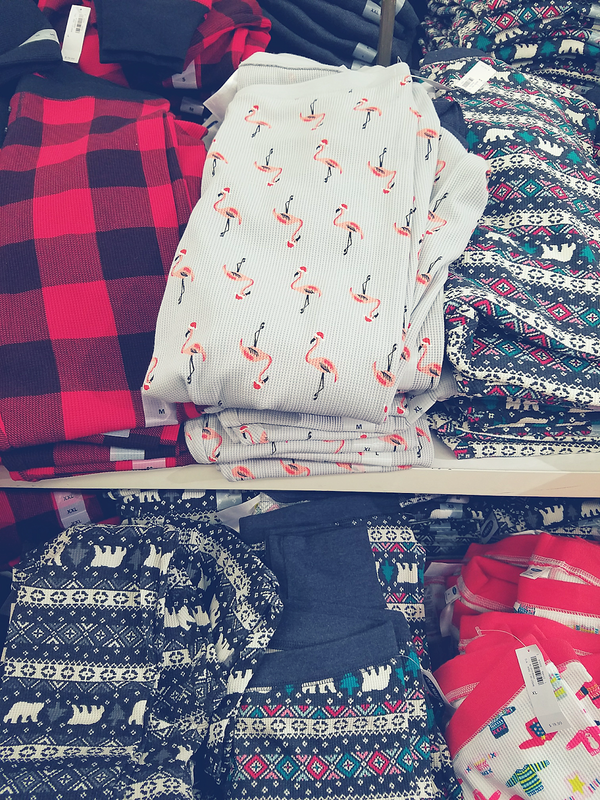 These pajamas were SO stinking cute you can't miss them. Some of them are super soft too!